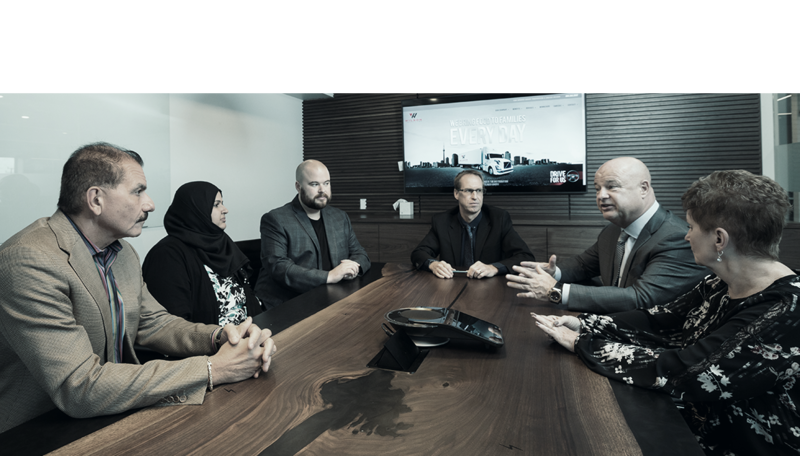 Each member of the Wilson's executive team is an expert in their respective field and completely focused on the continued success of the company. The Management Team at Wilson's Truck Lines is comprised of dedicated professionals with decades of experience in the transportation industry. Specialists to the core, their expertise extends to virtually every aspect of transportation, including trucking, warehousing & distribution, operations, as well as online systems and shipping technology. Each member of the Wilson's executive team is an expert in their respective field and completely focused on the continued success of the company. Marc Mousseau joined Wilson in 2008 and assumed the role as President of the revamped Wilson Truck Lines in February 2010. Marc played a pivotal role in the streamlining of the company’s operations, negotiating the new unionized driver contracts and re-securing the company’s long term contract with Metro, Wilson’s largest dedicated transport customer. Claude Beland accepted his position as Controller for Wilson Truck Lines in 2008. A native of Montreal, Claude is fluently bilingual and very comfortable with the various cultures that make up their organization. Claude is well known for his steady temperament and analytical prowess. He was instrumental in refining The Activity Standards Process™ at Wilson’s Truck Lines. After a year of research, the implemented process not only accurately predicts driver costs, it applies across all driver models including; owner operators, company drivers, third parties and agency solutions. Claude’s duties are focused on maximizing efficiencies for the company, from a finance perspective. Fine tuning costing models and developing fair compensation for the specialized services Wilson’s Truck Lines offers is his passion. Greg’s career in transportation started immediately after college. In conjunction with his older brother, they specialized in perishable truckload commodities between Canada and the USA. He gained valuable experience in both sales and operations and followed up with a sales role at TransX before joining Wilson’s in 2005. 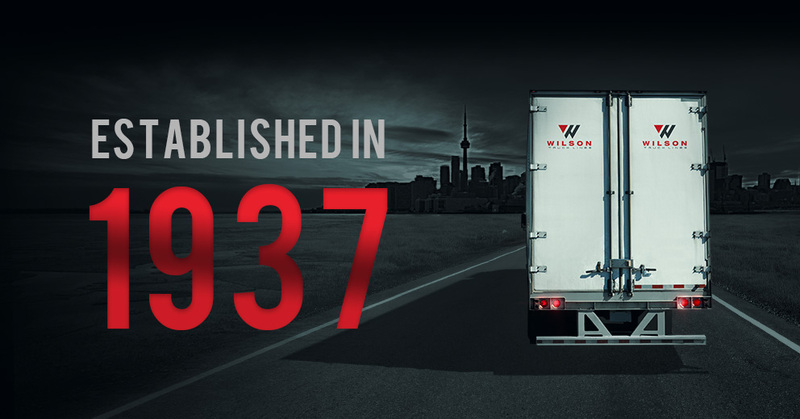 As Director of Operations for Wilson Truck Lines, Greg views the transportation costs incurred by their food distribution clients as an expense better managed by a third party specialists like Wilson. The company’s dedicated fleet model brings a higher level of execution, flexibility and resources to manage their customers’ distribution requirements. Greg has a hands-on management philosophy and is accessible by his team leaders 24/7. His key role is assessing clients’ volumes, schedules and concerns on a daily basis and setting up the necessary resources, pro-actively. Dave has a decade of service with Wilson Truck Lines. He was instrumental in creating Wilson’s IT department and his past experience and education ideally positioned him for his 2010 appointment as Director of IT Services for the company. With a formal education in Electronics Engineering, Dave’s early career included all aspects of sourcing, purchasing, component level repair and servicing of computer equipment with a leading national computer maintenance enterprise. Dave was also involved with the ground level implementation of computerized dispatch software for some of Canada’s prominent carriers before coming to Wilson’s in 2000. Dave’s key role is to continue the development and maintenance of leading edge technology that allows Wilson’s Truck Lines to effectively communicate internally and with customers… in real time.